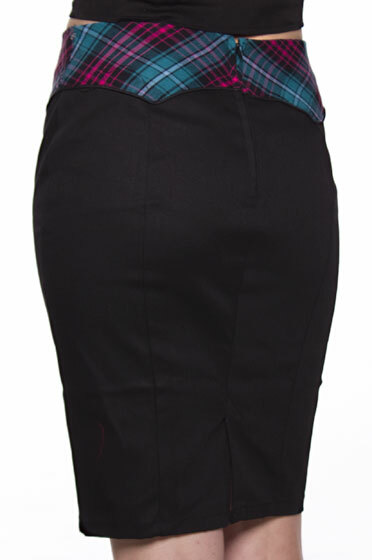 This super cute black skirt by Switchblade Stiletto features a Western style waist band in pink and teal plaid and a small slit up the back! Zips in the back. 97% cotton and 3% spandex for a little stretch.